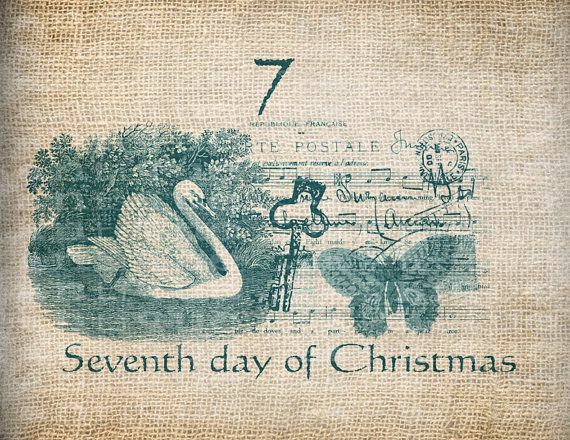 I am thrilled to be able to bring you A WandafulThing 12 Days of Christmas for the 4th year in a row. I’m excited as this year the theme of all of my posts will be about thrifted, gifted (diy) and vintage items as Christmas presents. Today is Day 7 and this gift falls into the “thrifted” and “gifted” category. This gift is for my mother, who is the great grandmother to my daughter’s three children. A beautiful boy who is 2 and a half and a set of twins 4 months old. This gift was actually the one that cost the least amount of money but I am sure it will be the one most treasured, especially for a person who doesn’t really need anything. 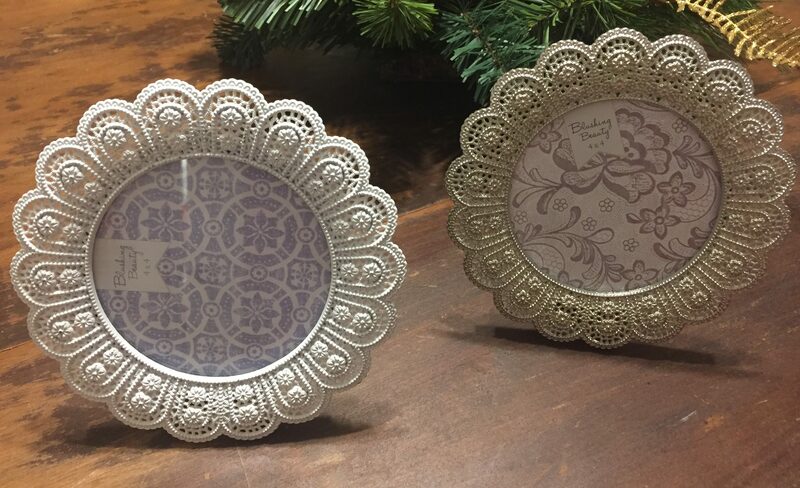 I found two very similar photo frames at Goodwill for $2.00 and a small wooden plaque for $0.50. I soaked the top of the plaque with a wet rag and the paper picture peeled right off. 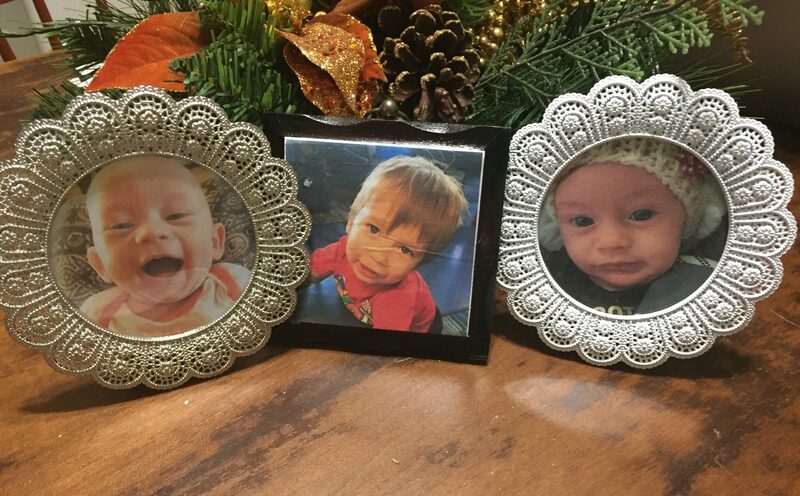 I printed and cut two pictures to fit into the frames and printed, cut and mod podged the third picture onto the little wooden plaque. I just know Great Nanny Louise is going to love this present. I smiled the whole time I was putting it together. Three adorable faces we all love. I invite you to come back and see what Day 8 brings. Thrifted, gifted and vintage gifts are A WandafulThing, unique and one of a kind. Here is a recap with links to what’s happened so far and links to all the Wandaful Things I created last year (2016). Thanks for stopping by….until next time. 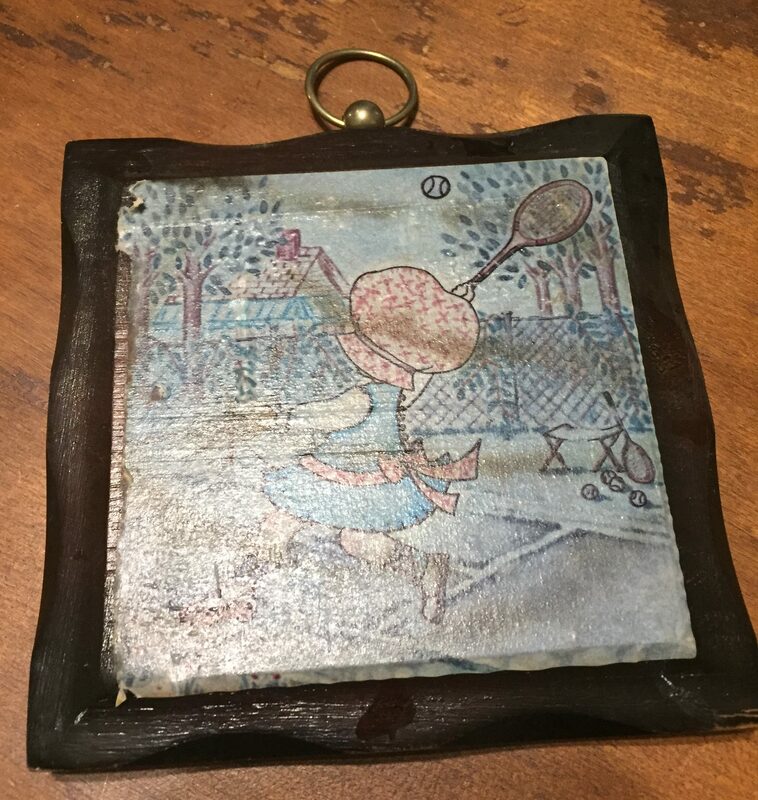 This entry was posted in Decorate, DIY, Make, vintage and tagged 12, 12 Days of Christmas, balls, cheap, Christmas, Crafts, creativity, days, Decorate, DIY, easy, frame, gift, gifts, ideas, inexpensive, mod podge, picture, plaque, print, recycle, repurpose, reuse, simple, white. Bookmark the permalink. Your mother will love them. Great idea over wooden plaque. Would not have thought of removing pic and replacing.